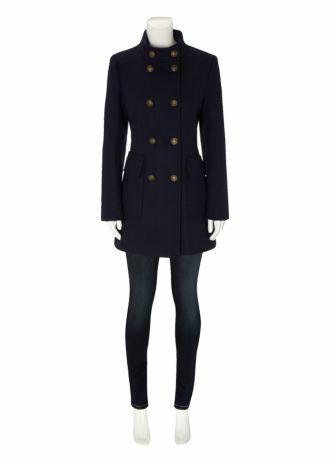 Thanks for all the requests to talk about winter coats on the blog…not a colourful post but it has got plenty of suggestions and advice for you if you're in the market for a new coat. 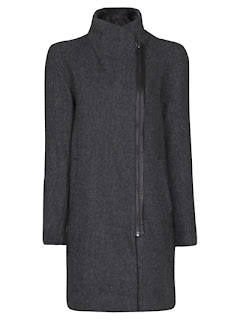 You'll have read me endlessly harping on about the Merrell Wakefield and its 2012 version, the Merrell Ellenwood so I'll not go on about these coats here again. BUT, if a Merrell is not your cup of tea or you have a waterproof coat already, what other coats should you consider for your wardrobe? And finally, black. Not the most flattering of colours on everyone, which is why it's not my first choice but you can't get away from how practical a black coat is, especially when going out..
Vila @ Room31 £30 Use Code LFL30 for 30% off at the till! 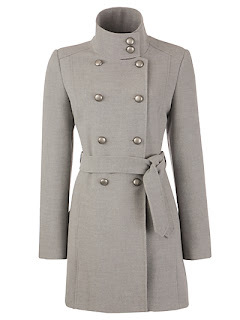 You've probably seen the theme in most of these coats - nipped in waists! 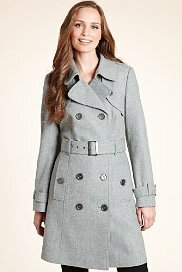 Coats can add bulk so always look for one that has some tailoring or shaping to ensure you don't lose your figure. 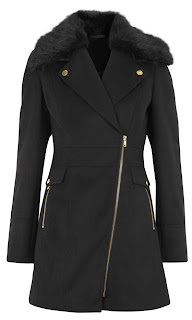 Look for nods to current trends like pleather trim, zips and peplums. Buy a coat that looks as good on you worn open as it does closed up. You will want to wear it both ways. Don't spend more than £150 on a coat and google for discount codes for online stores. For more bargainous buying, look for classic coats in grey, navy and black in the January sales. 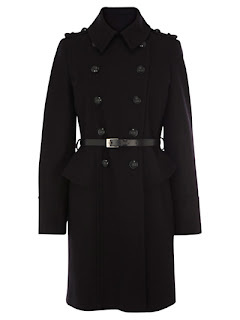 Don't rule out eBay - you could find a wee gem on here for a fraction of the cost as many coats are lightly worn. 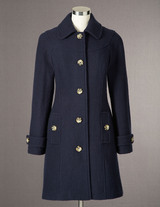 Don't keep coats for good - I know lots of people with gorgeous coats in their spare room wardrobe. 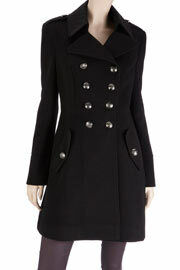 If you can't find a reason to wear them, sell them or give them away - coats take up TOO much valuable wardrobe space! We have 30% off at the moment at room31.co.uk too with LFL30 at checkout so even more of a bargain! 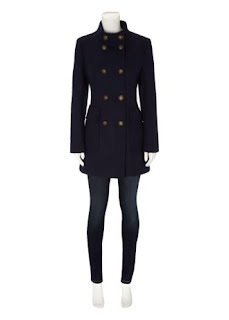 Oh, but I have to disagree about avoiding bright colours in coats!! P.s love love love my Wakefiel, everyone should have one. 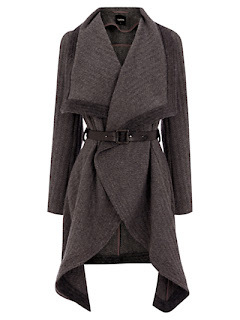 lol...I am that person who has kept a coat for good wear...I bought a beautiful wool beige 3/4 length Kenneth Cole coat in NY on my honeymoon FOUR years ago and how many time have I worn it....5. That is it, I am going upstairs to bring it down to my wardrobe to wear it!!!! Love the post lots of nice coats to be had!